CHECK OUT OUR LATEST TRACKS! Creation District Records is an independent record label designed to break down barriers that keep youth experiencing homelessness or economic instability out of the professional music scene. Founded in 2018 in conjunction with musician, Hobo Johnson, Creation District Records brings the voice of youth out of notebook pages and into your headphones. 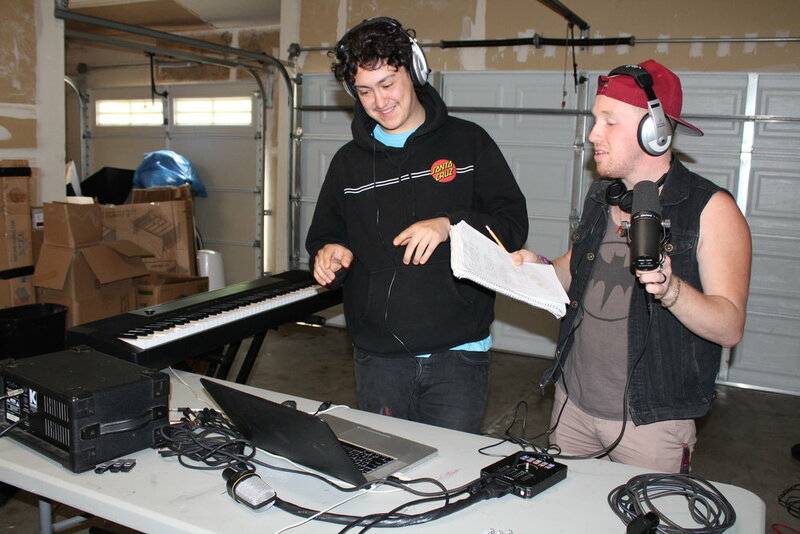 Stocked with a full kit of professional recording gear, midi instruments, and soundproofing materials, Creation District Records sets up fully functional pop-up recording studios where youth are: shelters, bathrooms, garages, vans, sidewalks, and more. Each session includes an introduction to the world of recording, music and instrumental warm-ups, and the opportunity for youth to create beats and record their own music, comedy, or poetry. Youth who record walk away that same day with a flashdrive of their professionally recorded, mixed, and mastered track and are invited to sign on to the label. In “signing,” youth give up NO rights to their music, but will be added to our Spotify channel and receive support in promotion and album production. WHAT MAKES CREATION DISTRICT RECORDS UNIQUE? At the Creation District, we understand that transportation can be one of the greatest barriers for youth experiencing homelessness to achieve their goals. 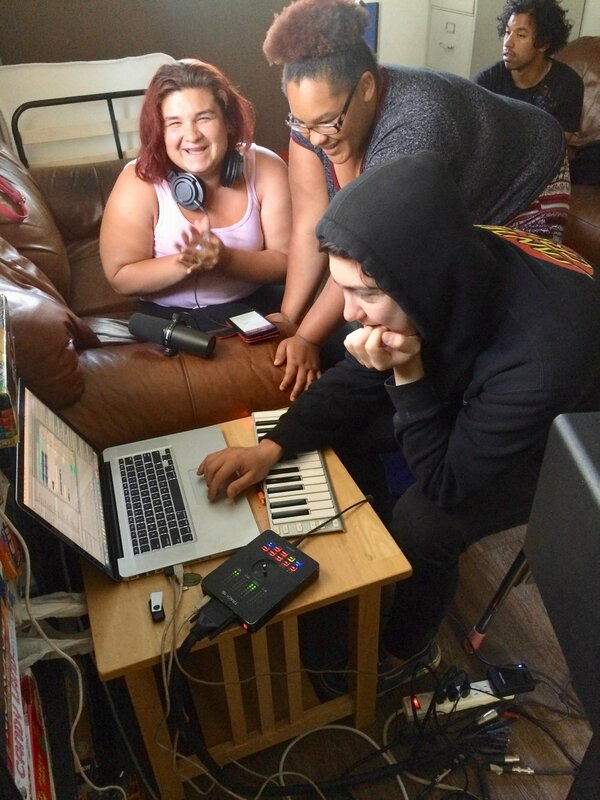 We make recording accessible by bringing our studio to where youth are. In under thirty minutes, the Creation District Recording Studio can be set up in alley ways, shelters, garages, living rooms, and anywhere else you can imagine! If you can sing there, we can record there! 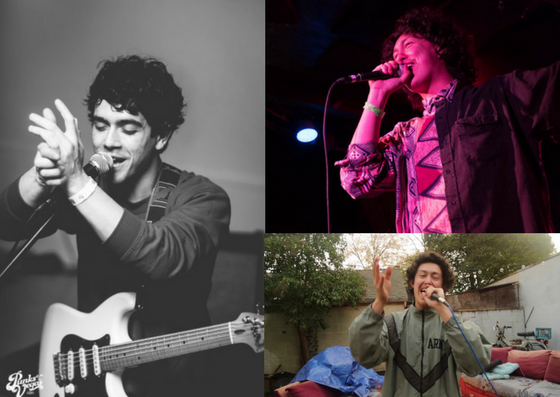 Creation District Records partners with professional musicians, Hobo Johnson and So Much Light to make the magic happen. When not touring and managing their own music careers, both artists play an integral part of Creation District Records. Singer/Songwriter So Much Light attends each session serving as our recording and mastering engineer. Rapper Hobo Johnson works from sidelines as our manager to book shows and build artist exposure while still finding time to join us in the studio when he can. 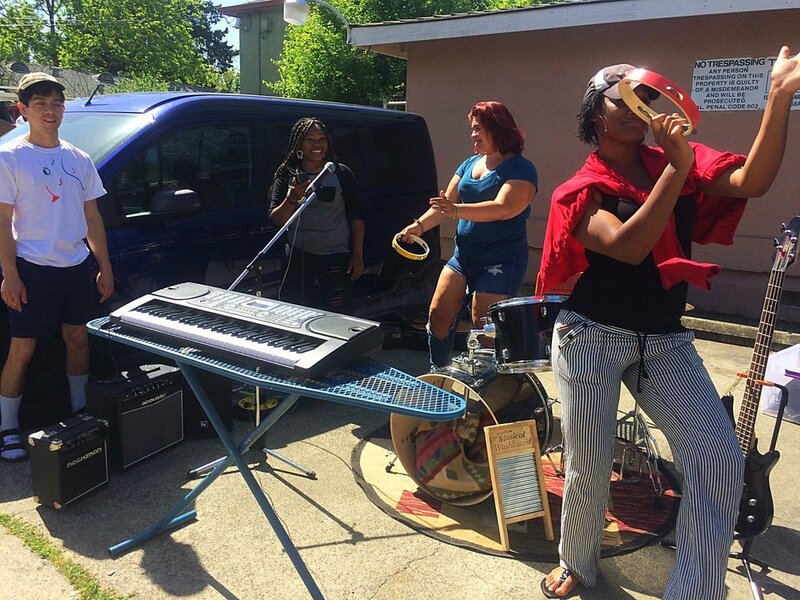 Working with professional artists affords youth the opportunity to learn about life as a full-time musician and to collaborate with some of Sacramento's biggest music names! 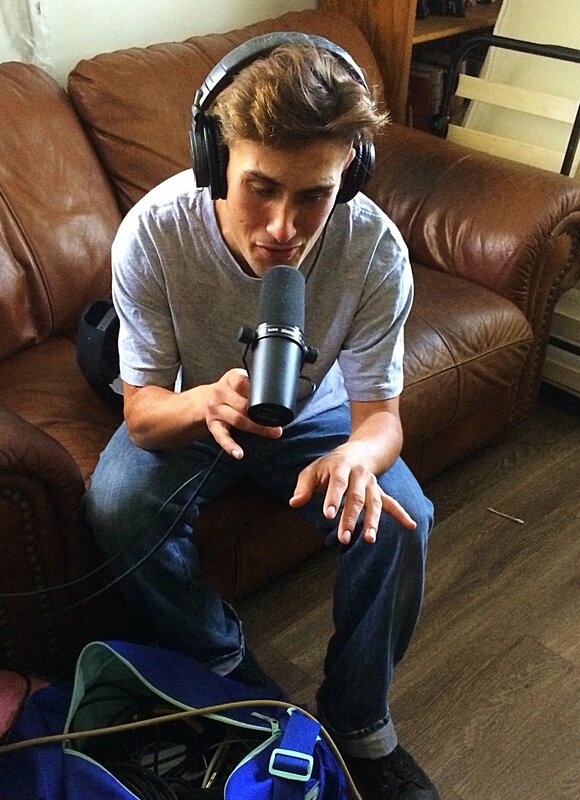 We think of our youth as professional artists and believe that they should have professional gear to work with. Each piece of gear we use is hand selected by professional musicians and matches the gear they use to record their own work in the studio. From interface to microphones, all equipment is of the highest quality for the musicians who deserve it the most. Every artist deserves some hype when they enter the world of music for the first time. Creation District Records is committed to capturing the talent that we already know exists and making sure that the rest of the world gets a chance to see it. Through album releases, live shows, social media promotion, and online distribution, we work hard to give each artist the support and exposure that they deserve.